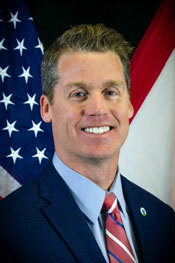 For nearly 20 years, Secretary Chad Poppell has dedicated his time to serving Florida and local government. He is dedicated to ensuring that families have the highest quality of services available in their times of need and that they are delivered at the best value to Florida’s taxpayers. Secretary Poppell has extensive experience in leading large government programs, including systems of care delivered through third parties. He is dedicated to innovation, making sure the department’s service delivery systems are appropriately resourced, and to making meaningful change that will enhance the lives of Florida’s children and families. Secretary Poppell came to Tallahassee from Jacksonville in 2013 to serve as the Chief of Staff for the Department of Economic Opportunity and then as the Secretary of the Department of Management Services. Following a brief time in the private sector, the Governor charged him to review the department’s program with fresh eyes and a new perspective. Scott Stewart was previously the agency’s Chief Information Officer, responsible for overseeing information technology systems and coordinating data sharing between state and federal agencies and among our employees and partners. Previously, Scott served as Chief Information Officer for the Agency for Workforce Innovation and worked as an IT director and officer for the Florida Department of Corrections, the state’s Department of Business and Professional Regulation and other state agencies. Scott also brings private sector expertise from working with Walt Disney World and Scotty’s. Scott earned his Bachelor of Science in Business Administration from Florida Southern College in Lakeland and his Master of Business Administration from Nova University in Fort Lauderdale. 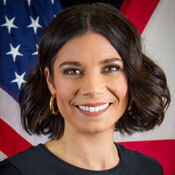 Taylor Hatch joined the Florida Department of Children and Families (DCF) in March 2019, as the Assistant Secretary of Economic Self-Sufficiency. In this role, she is responsible for the leadership and strategic direction of Florida’s public assistance programs: Supplemental Nutrition Assistance Program, Temporary Assistance for Needy Families, Medicaid, Refugee Services, and Public Benefits Integrity. 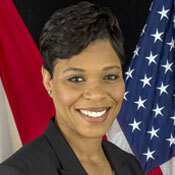 Prior to joining DCF, Taylor served as the Director of Workforce Services at the Florida Department of Economic Opportunity (DEO) where she was responsible for the management and oversight of the state’s Reemployment Assistance Program, Labor Market Statistics, and One-Stop and Program Support of workforce programs, including the partnership with the local CareerSource Florida network boards across the state. Taylor’s unique perspective will allow DCF to focus on the full continuum of services for its customers. Prior to her tenure at DEO, Taylor served as Senior Director of Policy and Legislative Affairs Director at the Department of Management Services, Deputy Legislative Affairs Director for DEO, and also gained experience in private sector consulting. Serving in these capacities, she was integral in advancing legislative and strategic priorities, streamlining operational functions, and building collaborative relationships with internal and external stakeholders. A Florida native, Taylor lives in Tallahassee with her husband Eddie and daughter Charlie. She is active in her community as immediate past president of the Junior League of Tallahassee. JoShonda Guerrier was appointed Assistant Secretary for Child Welfare for the Florida Department of Children and Families in April 2016. A certified public manager with more than two decades of social services experience, JoShonda leads with integrity, personal and collegial accountability, and a commitment to excellence. Only the second person to hold the Assistant Secretary for Child Welfare position since the Legislature created it in 2014, JoShonda leads the Department’s Office of Child Welfare. This role’s responsibilities include statewide policy development for the Florida Abuse Hotline, child protective investigations and case management; the Interstate Compact for the Placement of Children; the Office of Child Care Regulation; domestic violence; child welfare performance management and data reporting; child welfare information systems and strategic projects. JoShonda joined the Department in 2006 as an Operations Manager in the Family Safety Program Office. Prior to joining the Department, she worked as a child welfare certification Trainer at Tallahassee Community College, a Program Specialist at The Ounce of Prevention Fund of Florida in Tallahassee and Clinical Director of Camelot Community Care, Inc., in Lauderdale Lakes, Fla. In addition to serving as a Florida Abuse Hotline Counselor and Adjunct Lecturer at Florida State University, JoShonda served as a Program Manager in the Department’s Adult Protective Services Program and Director of Child Welfare Strategic Projects in the Office of Child Welfare. Skilled at project oversight and program management, JoShonda led the implementation of significant child welfare legislation passed in 2014. She also has facilitated public hearings and public workshops during the development of Florida Administrative Code rules focused on child welfare. JoShonda earned a bachelor’s degree of social work from Florida Agricultural and Mechanical University and a master’s degree of social work from Florida State University. John N. Bryant is Assistant Secretary for Substance Abuse and Mental Health at the Florida Department of Children and Families. 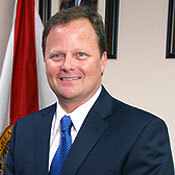 Bryant previously served as Vice President for Legislative and External Affairs at the Florida Council for Community Mental Health, working with and advising state agencies on legislative and budget priorities, policy development, contract services, behavioral health program design, research and advocacy. 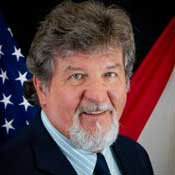 Before that he worked with the department (and under the Department of Health and Rehabilitative Services) for 36 years in multiple roles both regionally and at the statewide level including Chief of Operations for the Substance Abuse Program Office, Chief of the State Mental Health Treatment Facilities, Assistant Secretary for Mental Health Programs, Chief of Adult Mental Health and others. He completed course work for a Master’s degree in Public Health at the University of South Florida, and has a Bachelor’s degree in Social Sciences from the University of West Florida.